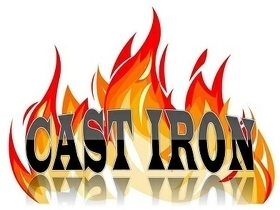 Cast Iron pan support. Cast iron pan is extremely durable and tough, is also a little wider than the hardened enamel pan supports and therefore giving your pots, and pans more stability while cooking. 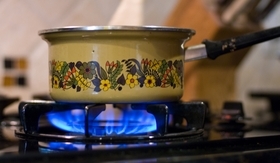 No more matches to ignite your cooker, Lofra built-in gas hob offers you an auto ignition system, which use to ignite your burners using electric sparks. Front Control knobs provides ease of operation eliminating the hassle of reaching over or leaning over to view the labels of the controls. Even though your kitchen does not have a large amount of space, you can still enjoy preparing meals for you and your family using the Lofra built-in gas hob. The Lofra built-in gas hob is 30cm in size, which means that it can fit most kitchen countertops without the bulk the oven, and space that other conventional kitchen ovens and stoves are eating up. 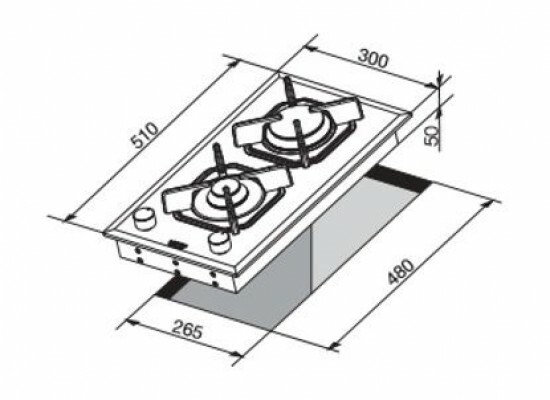 This gas hob constructed with stainless steel finish, this means that the Lofra built-in gas hob is easy to clean, no matter what type of drips and spills you have on your counter you can just wipe it off. By eliminating bumps and grooves where dirt easily accumulated, it makes the Lofra built-in gas hob easy to clean. The Cooker's surfaces can be cleaned easily with traditional kitchen appliance cleaners and a sponge. Depending on the type of surface, you may need a commercial Glass cleaner instead. 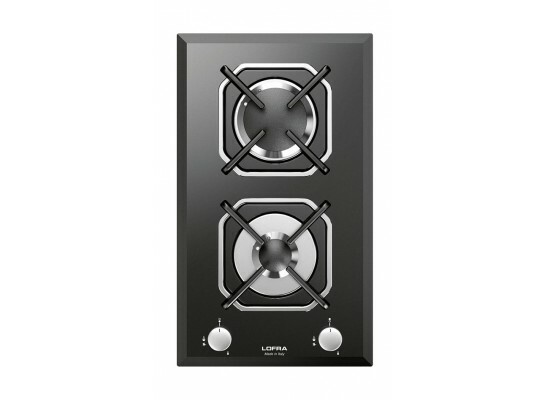 Lofra 30cm 2-Burner Built-in Gas Hob provides your kitchen with all your cooking needs. 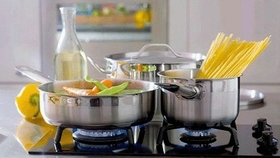 Multiple burner sizes that can fits all your pans with different types of cooking for different occasions. Automatic ignition eliminates the risk of home fire compared to manual ignition, which use matches to ignite. 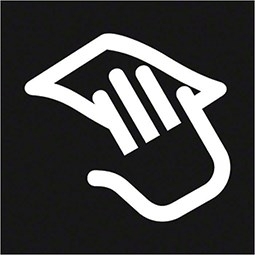 Control locations provides you with hassle free operations that can easily be adjusted to suit your needs.